After you click the link below to pay for your listing, you will be taken to the information page to add your companies information. All listings will be active within 48 hours. Will your potential customers find you on the Internet? Make sure you never lose a potential customer who is looking for a professional pet service in your area. 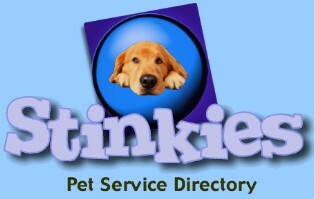 For only $10 each month!, you can have your business listed on Stinkies Pet Service Directory. Listings are search engine optimized so you can be certain your pet business will be found with ease. Don't let another customer slip by, submit your listing now! 30 Day Money Back Guarantee! If you are not satisfied with your listing in the first month, you will receive a full refund.